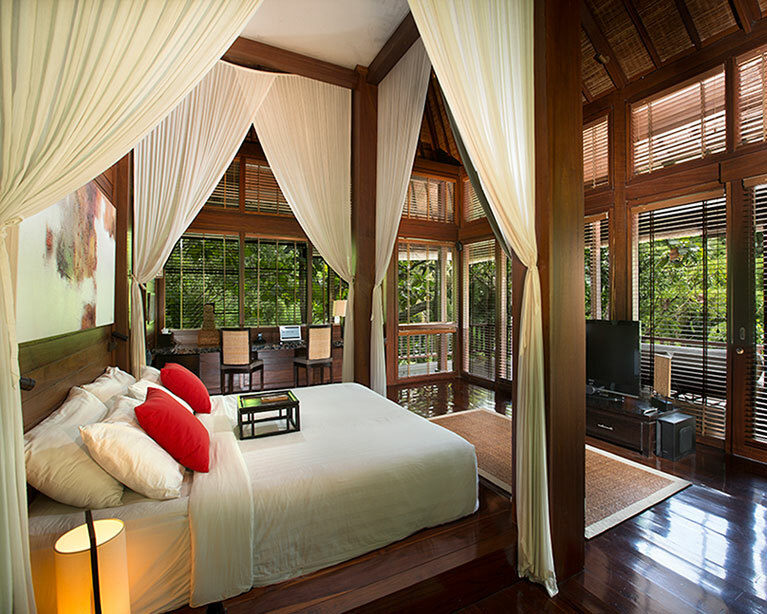 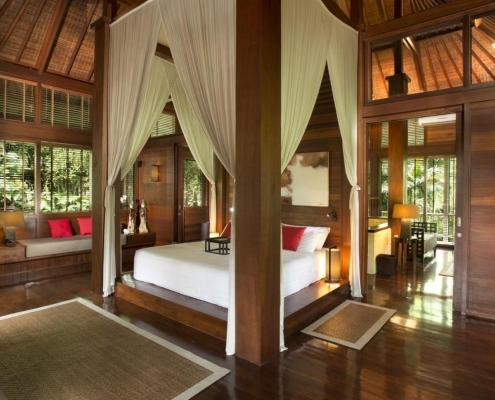 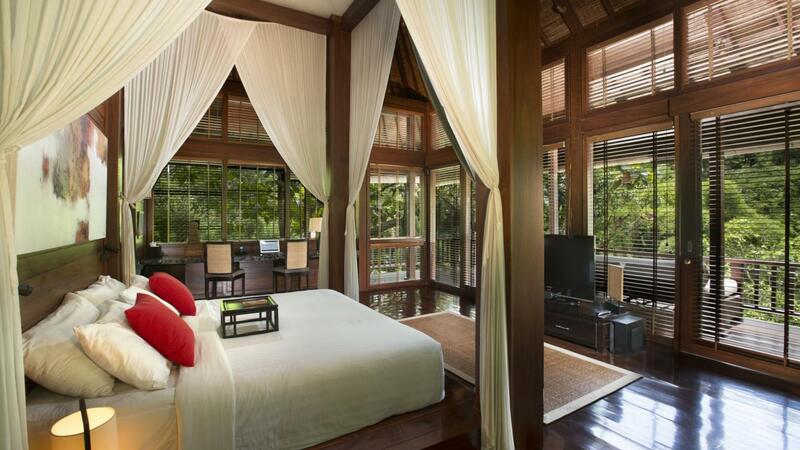 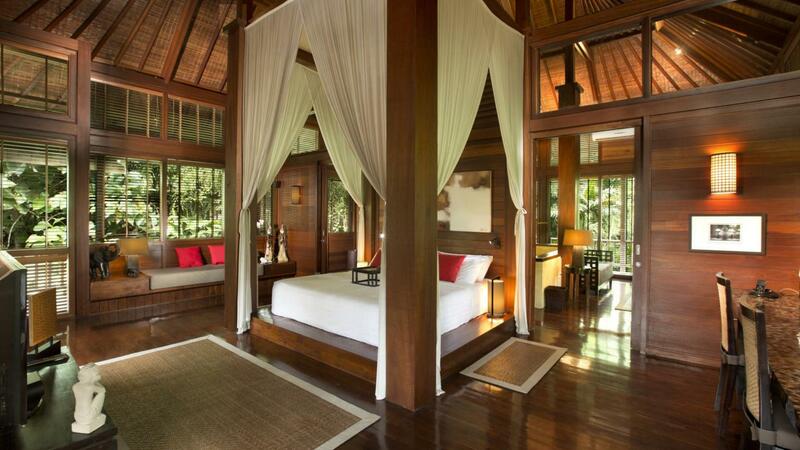 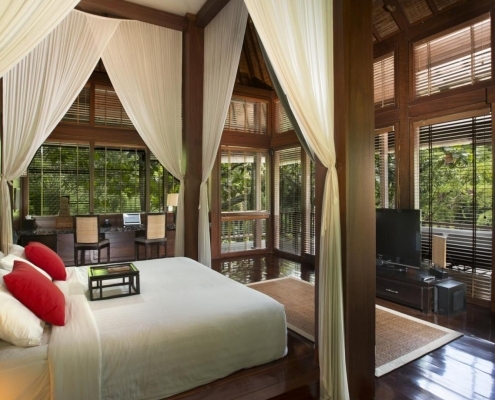 This very spacious and luxurious master bedroom is located in an exclusive private pavilion finished with teak wood and very high ceilings offering ultimate luxury. 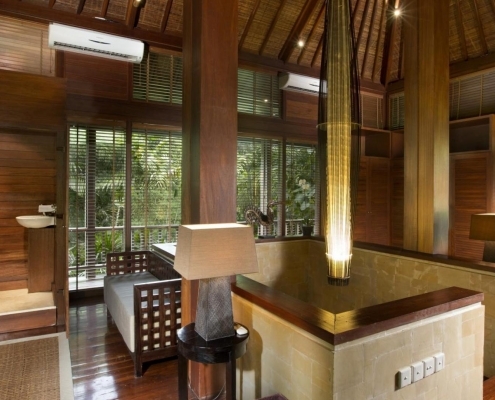 On the first floor you find a king-sized bed, a very spacious dressing area and an authentic wooden terrace overlooking our 360 degrees green surroundings and impressive river. 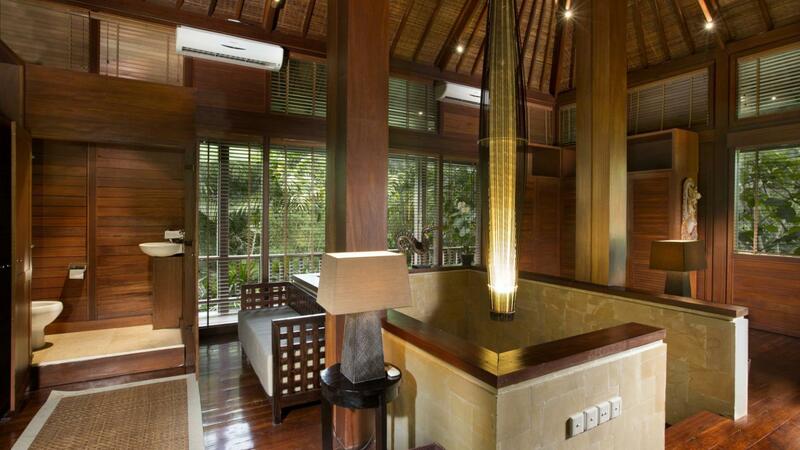 There is also a work desk and a lounging seat. 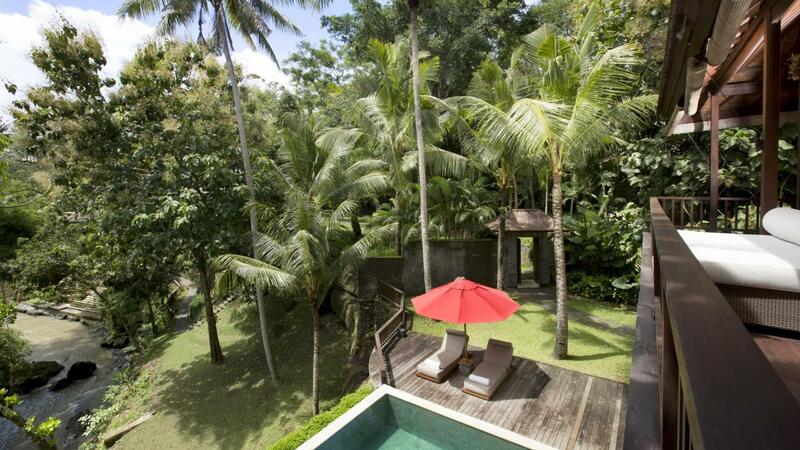 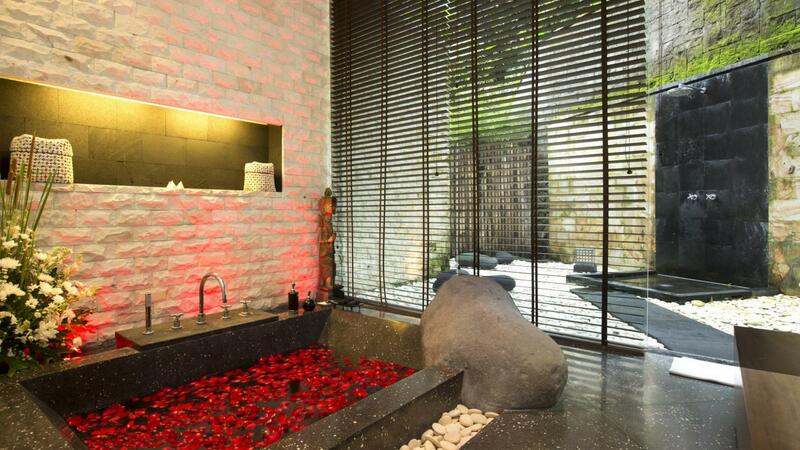 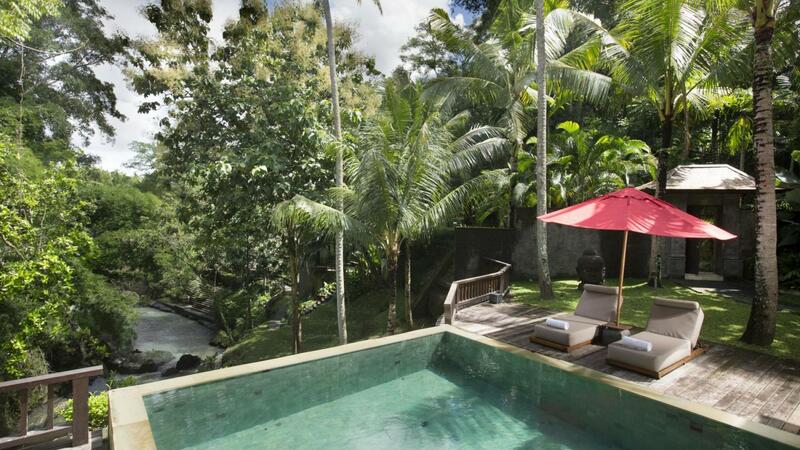 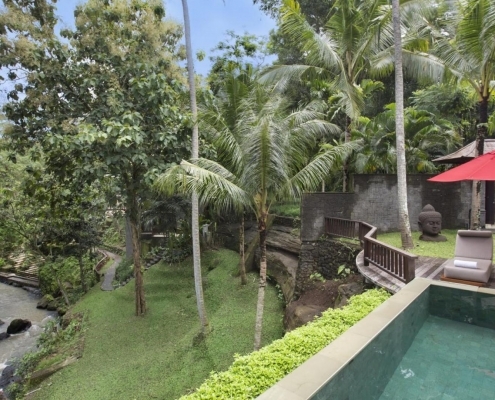 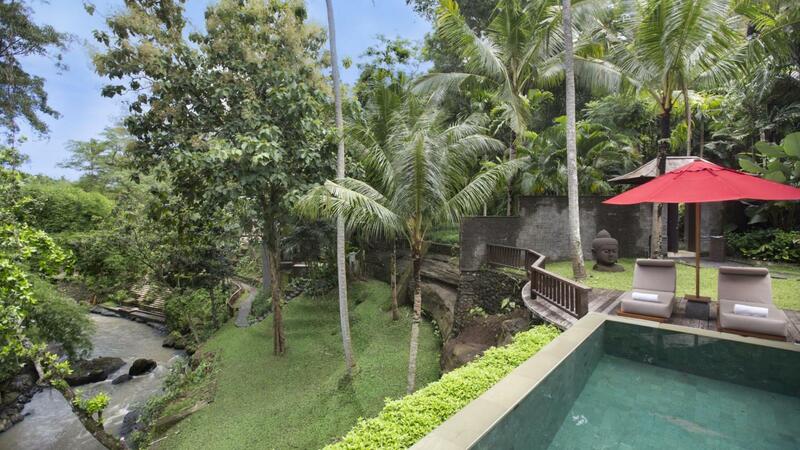 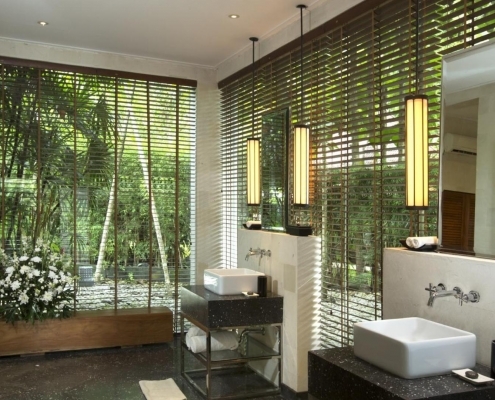 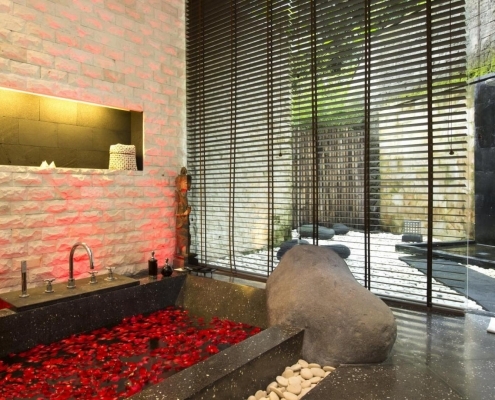 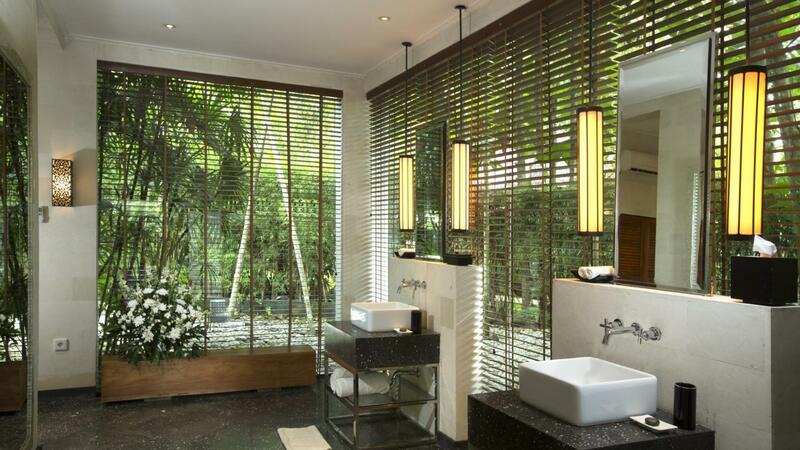 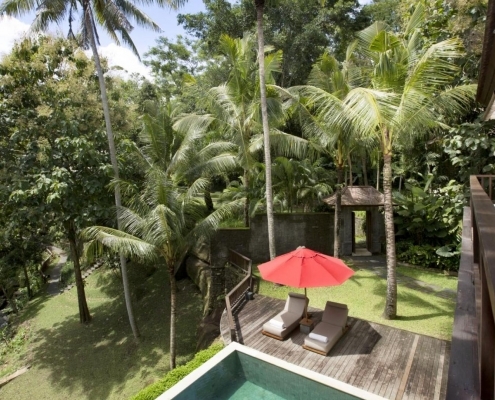 The ground floor offers an open air rain shower in an enclosed beautiful tropical garden, a five star luxury indoor bathroom with build in stone bathtub, two wash tables. 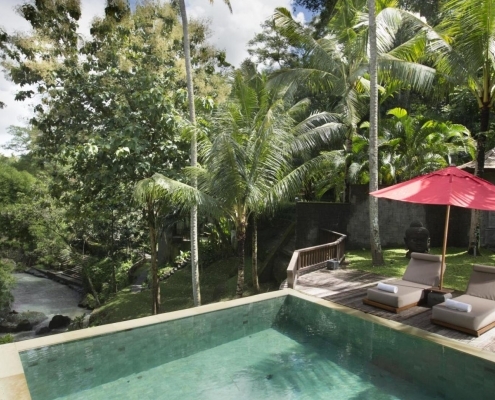 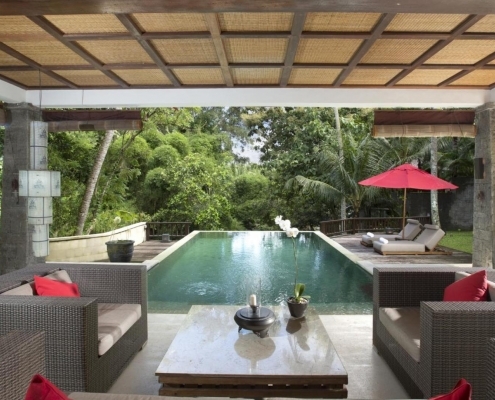 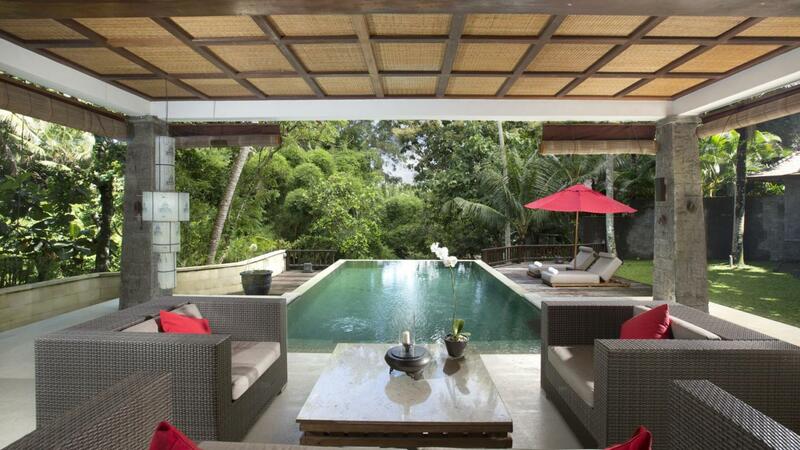 The outdoor area has a sofa, a 10-meter private swimming pool and a tropical garden with two sun beds and umbrella overlooking our green jungle and river views.